Sites That Pay Shopper Commissions – Is it Nexus Creating? 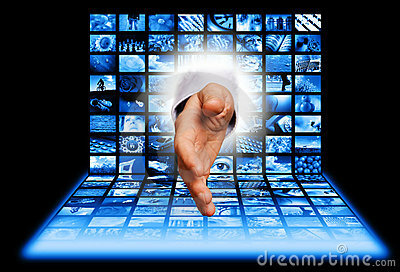 Over the past few years many retailers and online companies have turned to shopper’s personal webpages for advertising. In our current online marketplace, individuals can post items, outfits, and recipes to their social media sites. Piggybacking on our growing use of social media in our daily lives, companies have taken advantage of this by paying individuals for tweets, posts, and other social media disseminations that drive customers to a company or online retailer. Using this tactic, social media sites such as Twitter, Facebook, and Pintrest are being transformed into paid promotion generators. An October 2012 article written in the New York Times that can be found here, discusses a Manhattan talent agent. In her free time the shopper posts various fashion items to her social media sites, such as lipsticks on her Pintrest account and her “night life collection” on Beso (which apparently is a shopping website.) If her posts drive customers to the lipstick site or Beso, the companies will reward her by paying her a fee. Some sites, such as Beso pay users around 14 cents for every click the individual sends to Beso. While other retailers, such as Pose, pay only when a product is purchased resulting from the click (usually around 5%). According to the article, the Manhattan talent agent makes about $50/month from promotion fees. After reading this article, I am sure many readers had the same thought I did – can the fee paid from the retailer to the individual create nexus for sales tax purposes? Actually, I am sure the only people that even thought about this are state and local tax attorneys like me who spend many of their hours reading about sales tax laws. On a serious note, it does present an interesting sales tax law issue as to whether these activities can create nexus to an online retailer who has nothing in the state aside from a shopper who happens to post their products to social media. For those of you who are unfamiliar, “nexus” is a fancy legal word that means connection. In order for a state to require a company to collect its state sales tax the company must have “nexus,” some connection with the state. In 1992, the United States Supreme Court decided Quill v. North Dakota, and ruled that a company must have some physical presence in a state to have nexus. It also marked the most recent Supreme Court case discussing “nexus” and one can imagine the changes in technology and online business that have occurred since 1992. While it seems like a clear bright-line rule, whether an activity constitutes “physical presence” has proved to be a perplexing inquiry. The most recent guidance from the Supreme Court has taught us that mere solicitation through advertising does not create nexus; however, an independent contractor soliciting sales on a vendor’s behalf does create nexus. See Scripto v. Carson. Everything in between is open for debate. Recently, amidst a competitive and bleak economy, many states have drafted laws that create a presumption that if a company has an affiliate soliciting sales within a state, it has nexus. The most notable company affected by the affiliate laws is Amazon.com (this has coined the laws as the “Amazon Laws”). Using the same analogy a state can argue that if a remote vendor uses the websites of others and pays the representative a commission for generating sales, then the Amazon-law applies and that company is required to collect and remit sales tax in that state. The out-of-state vendor/retailer will argue that they have no physical presence in the particular state, no control over the purported “affiliate,” and may not even know the whereabouts of their alleged agents. However, the state can counter that the transactions at issue are more akin to Scripto in that the out-of-state company is paying another to solicit sales in the market state. There is no requirement in Scripto that the business own or lease any property or have a regular agent in the market state. In fact, as few as ten independent contractors conducting local solicitation are sufficient. After comparing the competing sides, it is a difficult to determine who is in a superior position. Identical to Scripto, the remote vendors are using local agents, albeit through a website, to solicit New York sales. Does this satisfy the physical presence requirement under Quill? It will be interesting to see if any states take such an aggressive position. I am unaware of any states taking a position that is quite this aggressive. Perhaps as the use of individual’s social media sites for fees increases and the amount of money at stake increases, states may be tempted to go after the tax that may not be reported. About the author: Mr. Donnini is a multi-state sales and use tax attorney and an associate in the law firm Moffa, Gainor, & Sutton, PA, based in Fort Lauderdale, Florida. Mr. Donnini’s primary practice is multi-state sales and use tax as well as state corporate income tax controversy. Mr. Donnini also practices in the areas of federal tax controversy, federal estate planning, and Florida probate. Mr. Donnini is currently pursuing his LL.M. in Taxation at NYU. If you have any questions please do not hesitate to contact him via email or phone listed on this page..